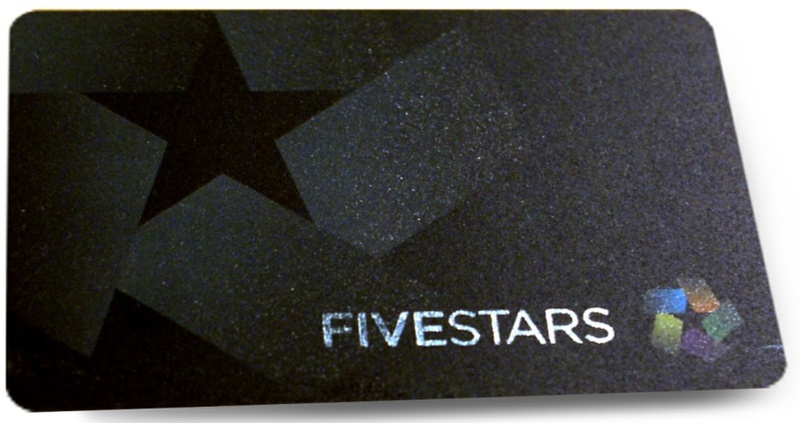 We in the press haven’t heard too much from Five Stars, the customer loyalty startup, since it launched out of the Winter 2011 class of Y Combinator last year. But now that seems the silence has been for a pretty good cause: Turns out that Five Stars has been busy over the past year building a business with real clients, real users, and most importantly, real revenue. Five Stars, which makes an all-purpose customer loyalty card and web platform that people can use at multiple different retail locations, has now processed more than 1.3 million check-ins, the company’s co-founder Victor Ho tells me. These check-ins have occurred across 250,000 users in the 700 or so retail locations in which Five Stars is active — 100,000 of these users use the Five Stars card once every two to three weeks, with 50,000 of those using it every week. As a comparison, loyalty platform Belly recently announced it has processed 1 million check-ins across 200,000 users at 1,000 locations. Oh, the joy of keeping up with startup user number horse races! But really, the competition here in the customer loyalty space is pretty interesting to watch. According to Five Stars, the key difference that sets it apart from other modern loyalty platforms (including Belly) is that its technology is integrated into each store’s point of sale program, so retailers themselves can see metrics on their own screens when a Five Stars card is scanned and participate with the data on their own terms. This means that Five Stars is easier for stores to integrate, and it is easier for both the retailer and Five Stars to understand the behavior of customers, Victor Ho says. Five Stars has had more than $10 million in revenue going through its program, and the current run-rate spend is around $25 million, Ho said. The company, which has 35 full-time employees, charges retailers a monthly fee to be a part of the program. Retailers can also do marketing pushes through the Five Stars program — email campaigns, text messages, targeted promotions to valued customers, and the like. Five Stars is currently strongest in the San Francisco Bay Area, where it is based, but word is that the company is in the midst of raising a healthily sized new round of funding to help scale its operations. To date, Five Stars has taken on about $2 million in outside investment. Not surprisingly, Ho was mum on the topic of new VC funding when we talked this week, but he did say that more aggressive geographic expansion was certainly on Five Stars’ horizon. Belly, one of its chief competitors, is based in Chicago, for example, and seems to be getting a strong grip on the Midwestern market and beyond. Ho expressed confidence that Five Stars could win in new locations given the chance. “There’s going to be room across the United States for loyalty programs, and it will get competitive in certain markets,” he said. “I think what will determine the ultimate winner is just how much the product get used. If you sign up a merchant and no one uses it, then the merchant will sign off. The user numbers are so important.” Five Stars seems to have that department under control, at least at the moment.